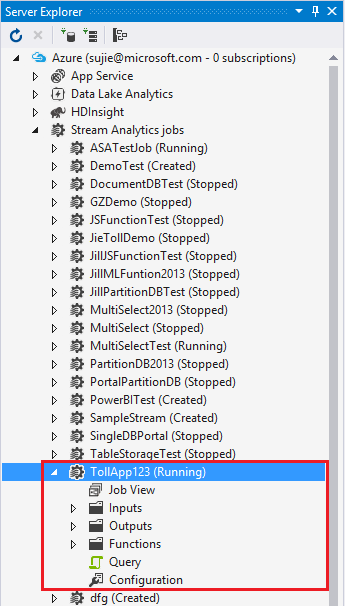 Have you had chance to try out the public preview version of the Azure Stream Analytics Tools for Visual Studio yet? 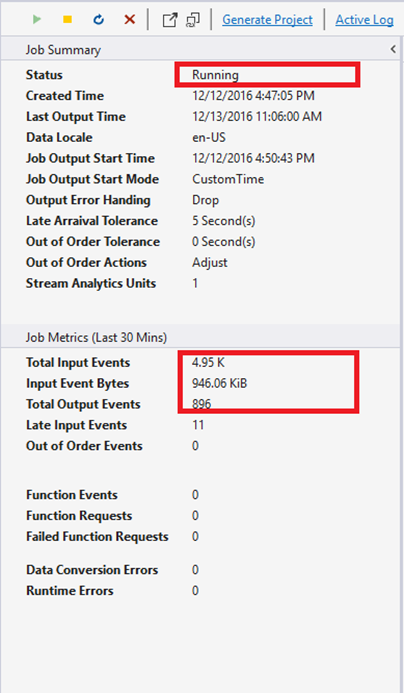 If not, read through this blog post and get a sense of the Stream Analytics development experience with Visual Studio. These tools are designed to provide an integrated experience of Azure Stream Analytics development workflow in Visual Studio. 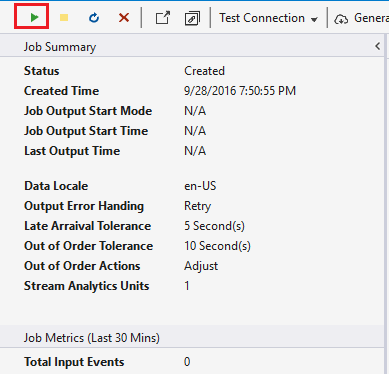 This will help you to quickly author query logic and easily test, debug, and diagnose your Stream Analytics jobs. Using these tools, you get not only the best in class query authoring experience, but also the power of IntelliSense (for code-completion), Syntax Highlighting, and Error Marker capabilities. 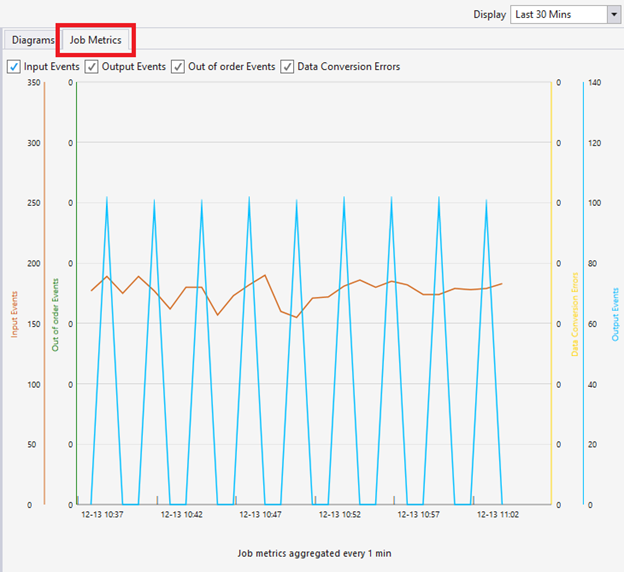 You now can test queries on local development machines with representative sample data to speed up development iterations. 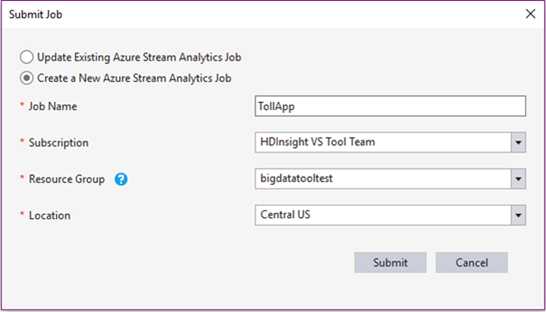 Seamless integration with the Azure Stream Analytics service helps you submitting jobs, monitoring live job metrics easily, and exporting existing jobs to projects with just few clicks. 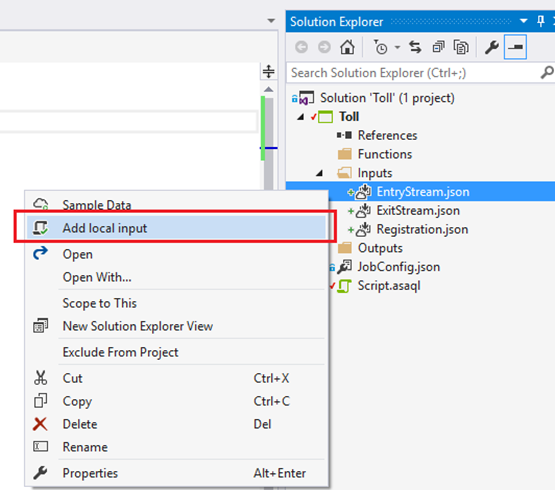 Never the less, you can naturally leverage Visual Studio source control integration capabilities to manage your job configurations and queries. To create a brand-new job, just create a new project from the built-in Stream Analytics template. 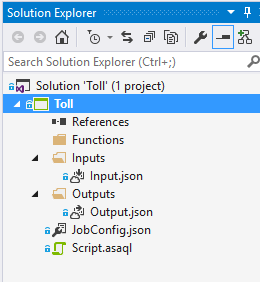 The job input and output are stored in JSON files, and job query is saved in the Script.asaql file. Double click on input and output JSON files inside the project, you will find out that their setting UI is very similar to the Portal UI. Double click on the Script.asaql file to open the query editor, its IntelliSense (code-completion), Syntax Highlighting, and Error Marker make your authoring experience very efficient. Also, if the local input file is specified and defined correctly or you have ever sampled data from the live input sources, the Query Editor will prompt the column names in the input source when the developer enters the input name. 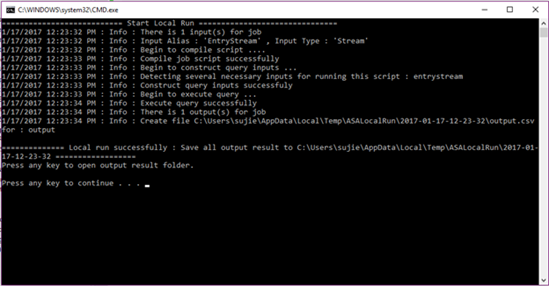 Upon finishing the query authoring, you can quickly test it on your local machine by specifying local sample data as input. This speeds up your development iterations. 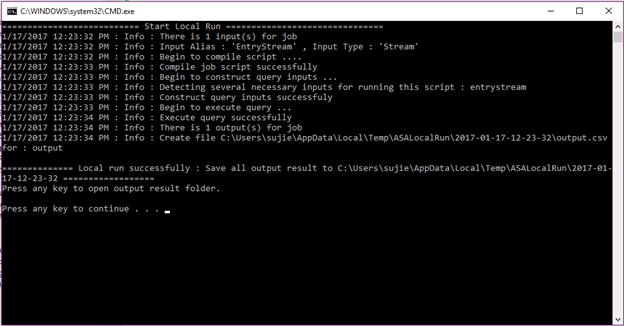 After you validate the query test result, click on “Submit to Azure” to create a streaming job under your Azure subscription. Once the job is created you can start and monitor your job inside the job view. 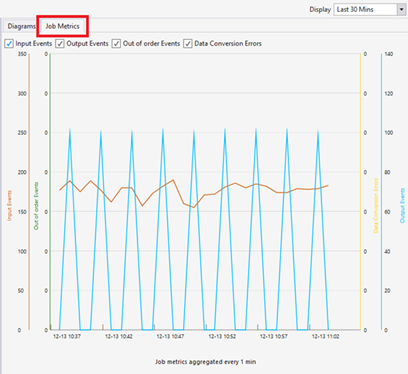 You can browse all your Stream Analytics jobs under your subscriptions in Server Explorer, expand a job node to view its job status and metrics. If needed, you can directly update job queries and job configurations, or export an existing job to a project. You need to first install Visual Studio (2015, Visual Studio 2013 update 4, or Visual Studio 2012) and install the Microsoft Azure SDK for .NET version 2.7.1 or above using the Web platform installer. Then get the latest ASA tools from Download Center. 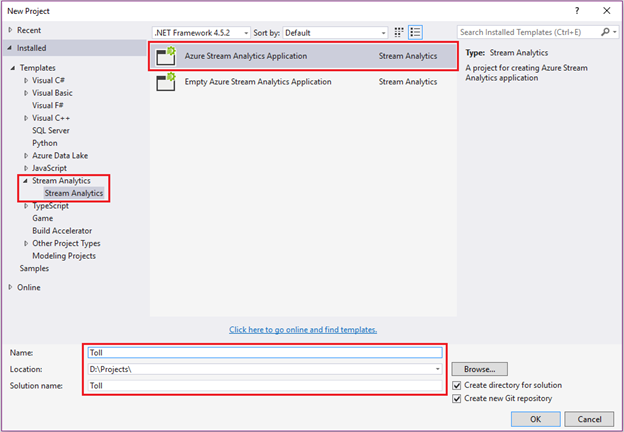 For more information, can be found at Tutorial: Use Azure Stream Analytics Tools for Visual Studio.